4 Adwy'r Nant (Beddgelert) sleeps a maximum of 5 people. 4 Afton Barns (Afton) sleeps a maximum of 5 people. 4 Aldelyme Court (Audlem) sleeps a maximum of 4 people. 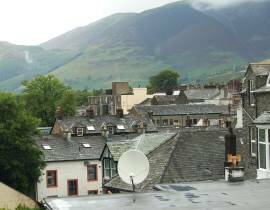 4 Balmoral House (Keswick) sleeps a maximum of 2 people. 4 Bell Heights Apartments (Kenmare) sleeps a maximum of 4 people.